“Verto – A Word Association Game” is a casual word association game that fun and addictive! Having hundreds of challenging puzzles, beautiful colors and backgrounds, and all with great ambient music to accompany the game play make for an all around gaming experience. This is what makes Verto unique and stand out against all the other word association games on the market. Players simply swap correct words to their corresponding side of the list. The words to match can be opposite, synonyms, or just related. This may sound easy, but as the levels progress so does the difficulty. 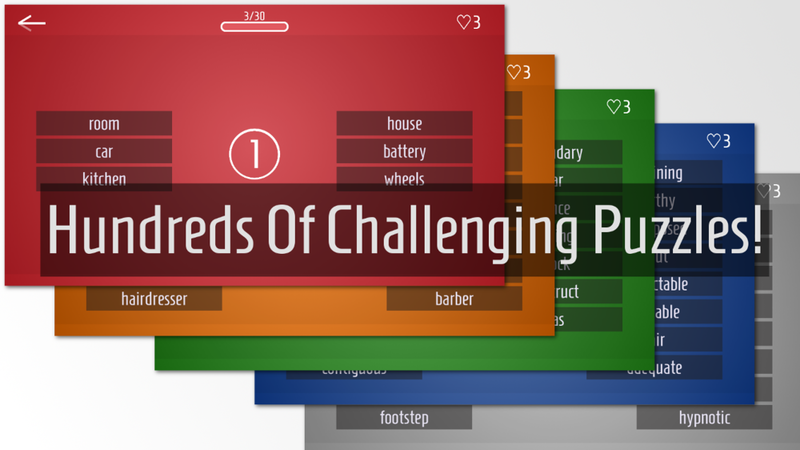 Players can challenge themselves and friends with puzzles in a variety of subjects, this app will have players guessing, stumped, and challenged for hours at a time! Five Finger Studios is a small (two person) indie development studio founded in early 2013, in beautiful Southern California. We do all of the development, design, artwork, sound, and puzzles (which currently have a few hundred each!) ourselves. We have a passion for creating fun and engaging mobile games. Each of our games deliver unique and exciting experiences while offering a wide range of challenges for the casual market. Our games are exclusively available for the iOS platform.